Diamond Condominium by Silk Projects Co.,Ltd. Diamond Condominium is an exclusive condominium development situated alongside Phuket’s renowned west coast beach, Bangtao. The development comprises 292 innovatively designed condominiums featuring 1-2 bedroom units and 2-4 Bedroom Penthouses with complete living spaces to include European kitchens, luxurious bathroom on-suites and spacious private terraces overlooking tropical landscaping, sauna and Olympic length swimming pool. Providing a unique opportunity for freehold ownership along the Andaman coast, Diamond Condominium is brought to you by a highly experienced development team. For thousands of years the diamond has reigned supreme among the gems of this planet. It is timeless and truly the ultimate symbol of sophistication and refinement. That's why we have named our premium residential development "Diamond Condominium.” We firmly believe that our project offers you the highest quality, yet at a surprisingly affordable price! A quality condominium is hard to find, and is often unattainable for most people because it is priced beyond their means. This is not the case, however, at Diamond Condominium. Project Manager and Developer Jo D'Hondt, with unerring determination, states: "We want to build something that people want to buy; something that has good quality, is great value and in a prime location for a correct and affordable price." And indeed he stays true to what he believes and is committed to delivering his promises! Diamond Condominium enjoys breathtaking panoramic views of this tropical paradise and apartments come at surprisingly affordable prices. Ranging from 3.07 to 9.7 million Baht, there is a selection of well-designed and practical 1 and 2 bedroom floor plans to choose from. Simply put, it's not only an amazingly affordable dream but a dream come true. Whether you want an invigorating swim or a relaxing time with family and friends, at the heart of our project are four swimming pools plus a Jacuzzi set within 2,000 sqm of park-like tropical landscaping. With a total land size of approximately 8,480 sq m, the 388 units will be professionally managed by Jones Lang LaSalle. Diamond Condominium we offer investors a 7% guaranteed return on investment for 3 years. Words and expressions come and go and eventually lose their essence. Nevertheless, "Location, Location, Location" still holds true today and should never be ignored when investing in real estate. 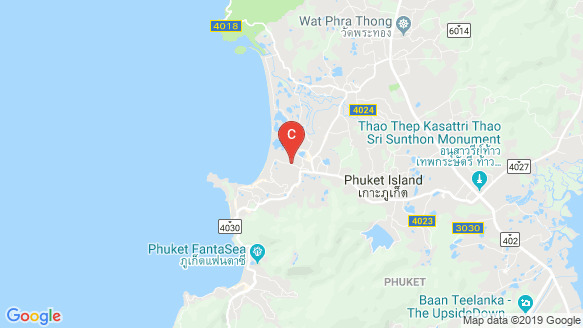 The site for this premium community has been carefully selected, and enjoys a prime location between Laguna and Surin Beaches, one of the most sought-after areas on this island paradise. Set amidst a spectacular tropical landscape with the Andaman Sea to the West and lush tropical mountains to the East, a cooling breeze on your skin and fresh air to breathe are part of the Diamond experience. Time spent at Diamond Condominium will provide you with the sense of peace and serenity you have been looking for and yet you are not far from all the conveniences that make for a perfect holiday. At Diamond you are ideally located between Laguna and Surin Beaches and are surrounded by restaurants, shopping centres, luxury spas and massage facilities and perhaps most importantly, you are just minutes from some of the regions finest beaches. Our shuttle bus is available to take you to unspoilt Bangtao Beach for a fun day out with your family or a refreshing swim in the dreamy turquoise waters of the Andaman Sea. For those who prefer a little exercise, the sea and a whole host of other activities are a short stroll away. Diamond Condominium is also concerned with its impact on the environment and we have made every effort to promote efficient and environmentally friendly use of all natural resources. Our project is carefully designed and constructed to ensure you not only maximize your coastal living experience but also coexist in harmony with nature. In addition, the project has the required Government EIA (Environmental Impact Assessment) approval, so you can be assured our environmental management practices are to the highest standard and all within a secure, gated community. Good things come and go and you should take advantage when the opportunity arises. Buying an apartment at Diamond Condominium is such an opportunity - the ultimate coastal lifestyle is waiting for you. For more information contact us today.